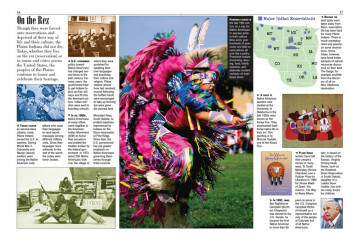 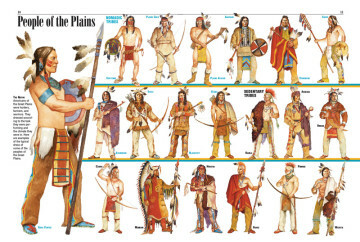 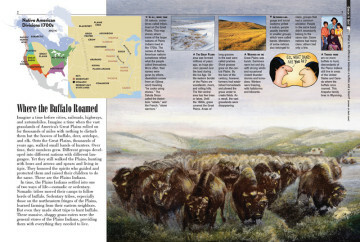 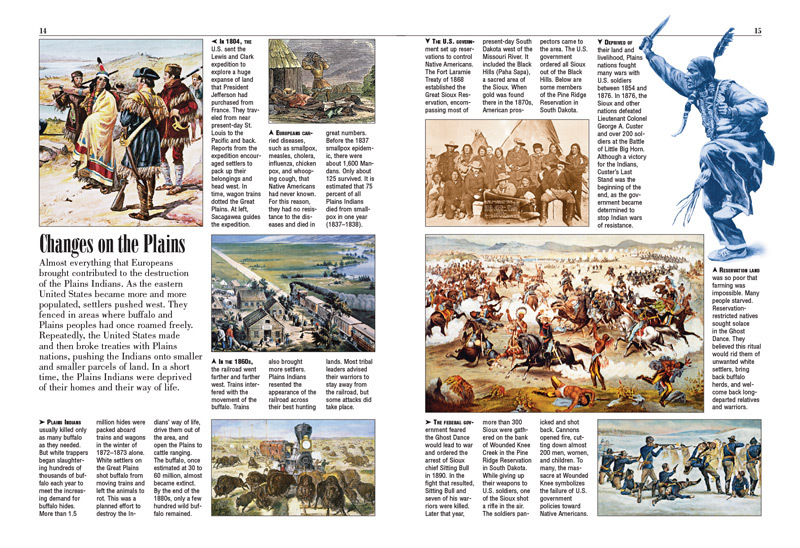 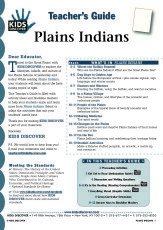 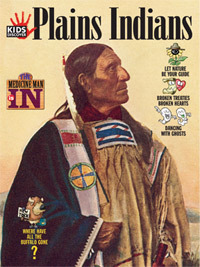 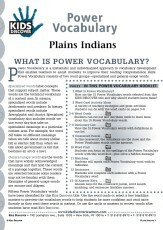 Plains Indians, for kids studying Native America, introduces them to the 30 nomadic and sedentary tribes that made the Great Plains their home. 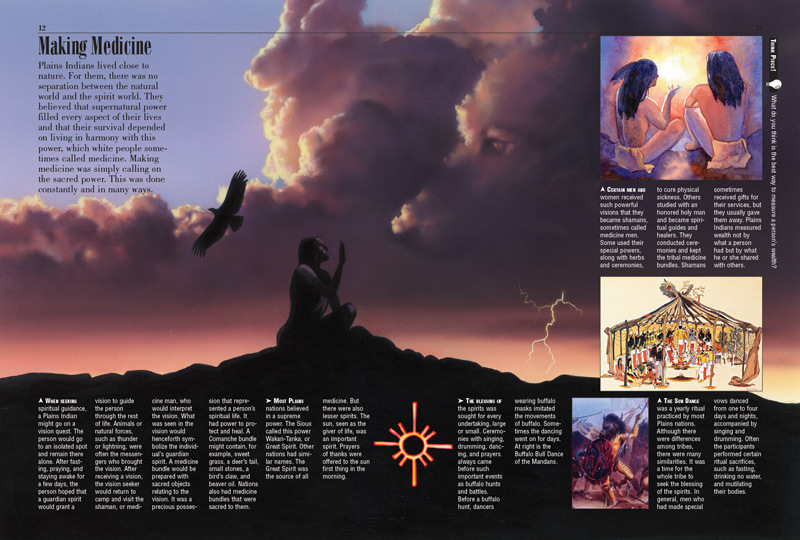 Although each tribe had particular beliefs, ways of hunting or farming, and lifestyles, they all shared one thing in common: a belief in spirits that guided and protected them. 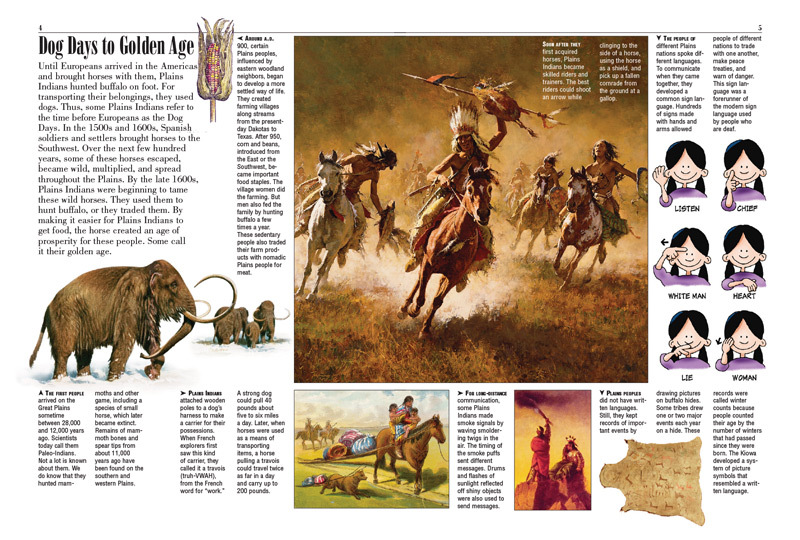 Before the Europeans brought horses over, Plains Indians relied heavily on their dogs for carrying their possessions; the arrival of the horse created an era of prosperity that many tribes called the Golden Age. 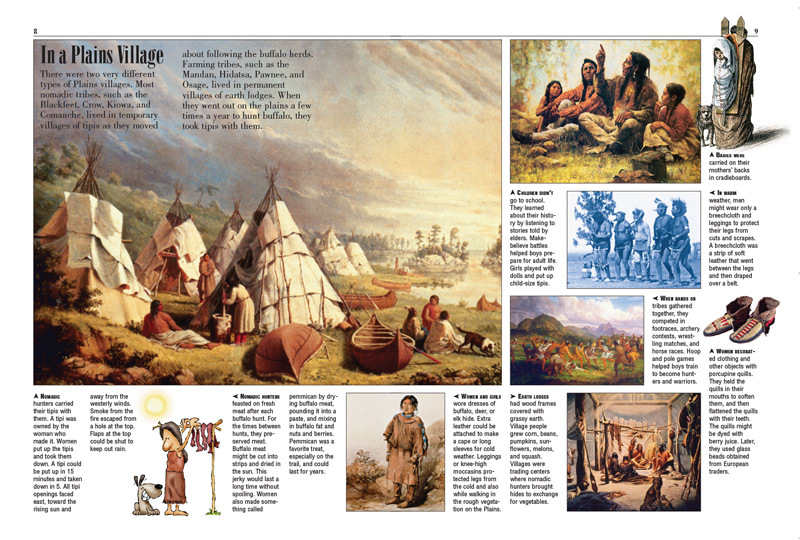 Kids will learn about their simple sign language, the famous smoke signals that they used to communicate, and the records of important events that they kept on buffalo hides. 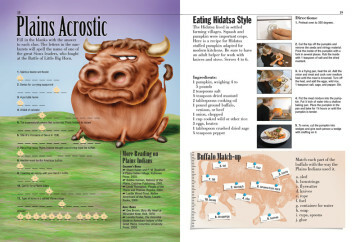 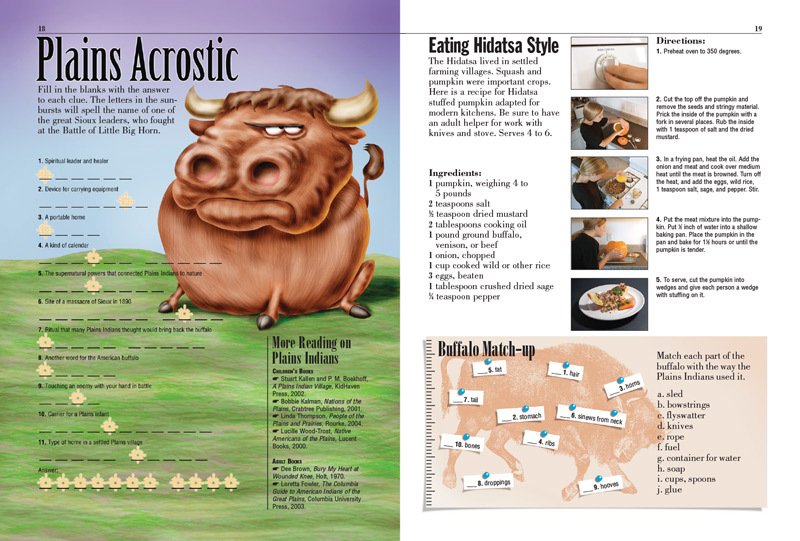 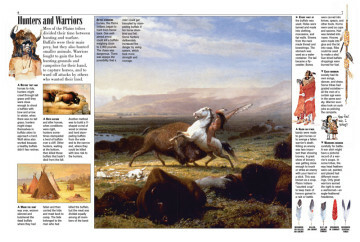 Vivid details on the nomadic hunters and warriors of the Plains Indians, for kids, lend insight into their unique hunting techniques – and how they used buffalos as “general stores” that provided everything they needed. 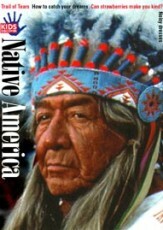 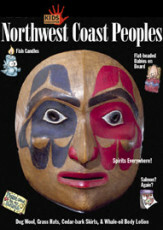 The lifestyles of the sedentary tribes, who lived in either temporary villages of tipis or permanent earth lodges, are also featured, including their lively powwows, the way they raised their children, and the secret rites and herbal healing practices that dominated their spiritual lives. 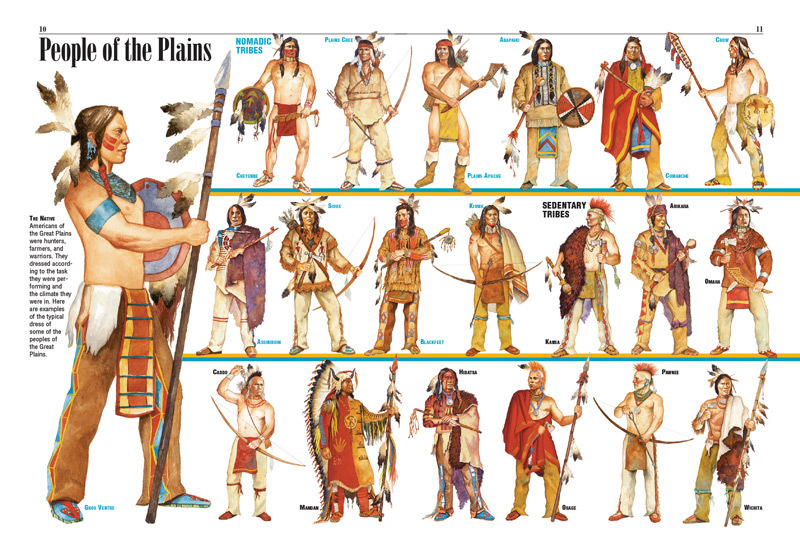 But change was inevitable once Europeans arrived, and new railroads, diseases, and unfair treaties began to diminish the number of Plains Indians. 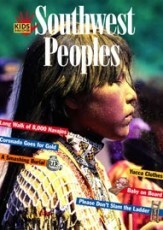 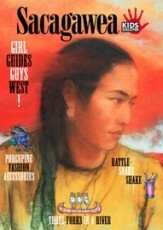 For kids interested in this period – and what life was like when they were forced onto reservations — this issue introduces them to these momentous events.